We are finishing up our penguin research. Well we're trying...but we have only had 2 days of school this week. Seriously! (President's Day + 2 snow/ice days) I was actually able only to teach for one day. I did Dibels testing all day on Wednesday and returned as Granny Gillow to teach on Thursday for our 100th day of school. I'll post about that soon. It was SO much FUN! During reader's workshop, we're finishing up our penguin research using my Nonfiction Penguin Unit. You can read a post with more details about that here. During writer's workshop, my students are working on nonfiction writing. I'm using the Lucy Caulkins unit to teach nonfiction writing. My district has not officially adopted the program, so I use a combination of resources to teach different writing units. Here is a reusable anchor chart that helps guide our planning. I laminate my reusable charts and use giant sticky notes to add the things myself or to let the students add things. That allows us to reuse the same chart multiple times during the same unit and I can reuse it again in the future. I don't know about your students, but my students struggle with spreading their story across the pages when writing nonfiction books. When we are writing personal narratives or small moment stories, they are able to think of the story in terms of a beginning, middle and end. That helps them spread their story across the pages. That is not as easy for them when writing a nonfiction (teaching) book. I made Sketch Across the Pages graphic organizers for my students to use to help them during the planning stage. First, I ask them to tell the story out loud across their fingers. Then they can choose either a 4 or 5 page graphic organizer to help them organize their ideas in the planning stage. Some students return to me to get another copy of the graphic organizer if they realize they need to add more pages to their story. and download your own copy if you'd like. 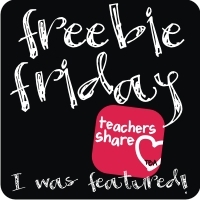 I'm linking up with Teaching Blog Addict for Freebie Friday! Since there is no school again today, maybe I'll get some things done at home. Happy Friday! 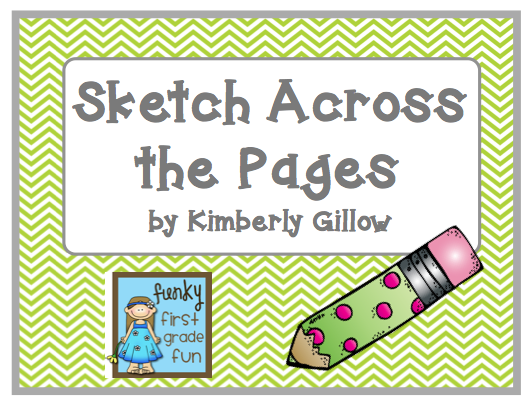 I love the sketch across the pages idea! Thank you so much for sharing that! I will definitely be using that with my firsties!